Armageddon (2008) was a professional-wrestling pay-per-view (PPV) event produced by the World Wrestling Entertainment (WWE) promotion and presented by Ubisoft's Prince of Persia. It took place on December 14, 2008, at the HSBC Arena in Buffalo, New York. It featured professional wrestlers and other talent from all WWE's three brands: Raw, SmackDown, and ECW. The ninth and final event within the Armageddon chronology, it featured on its card seven professional wrestling matches. During the SmackDown main event, Jeff Hardy defeated Triple H and WWE Champion Edge in a Triple Threat match to win the championship. The Raw main event featured the World Heavyweight Championship contested in a standard wrestling match, in which John Cena defeated Chris Jericho to retain the title. The undercard featured several matches, including CM Punk against Rey Mysterio in the finals of a tournament to determine the number-one contender to the WWE Intercontinental Championship, and Randy Orton versus Batista in a standard wrestling match. Armageddon helped WWE earn US$15.9 million in revenue from pay-per-view events, thanks to an attendance of approximately 12,500 and 193,000 pay-per-view buys. When the 2008 event was released on DVD it reached a peak position of second on Billboard's DVD Sales Chart. The professional wrestling section of the Canadian Online Explorer website rated the entire event a perfect 10 out of 10. Armageddon featured seven professional wrestling matches that involved different wrestlers from pre-existing scripted feuds and storylines that had played out on Raw, SmackDown, and ECW on Sci Fi—WWE's television programs. Wrestlers were portrayed as either villains or heroes in the scripted events that built tension and culminated into a wrestling match or series of matches and competed either under their real names or stage names. 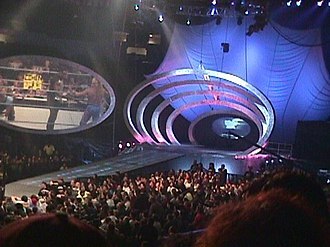 The event featured wrestlers from WWE's Raw, SmackDown, and ECW brands—a storyline division in which WWE employees are assigned to the television program of the same name. The main rivalry heading into Armageddon on the SmackDown brand was a match involving three competitors, known as a Triple Threat match in WWE, for the WWE Championship between Edge, Triple H, and Jeff Hardy. At Survivor Series, Jeff Hardy was out of action after being found unconscious in the stairwell of his Boston hotel earlier in the morning. This resulted to Hardy being removed from the WWE title match, leaving Triple H and Vladimir Kozlov battling each other one-on-one. Just when it looked like Triple H had Kozlov beat after nailing him with a hard-hitting Pedigree, SmackDown's primary authority figure Vickie Guerrero interrupted the match to announce that it would indeed be a Triple Threat match– with Edge as the last minute third competitor. Edge made his way to the ring and nailed Triple H with a vicious Spear. Next, Hardy surprisingly ran into the ring and attacked Edge. Hardy then grabbed a steel chair, returned to the ring and knocked both Triple H and Kozlov with each chair shot to the head. 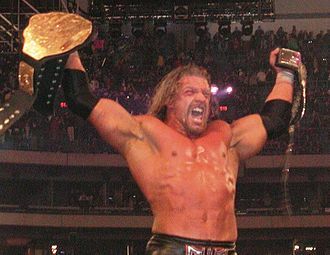 As Hardy was about to nail Edge with the chair, Edge countered by spearing Hardy then capitalized, by covering Triple H for the win and won his 6th World Championship. SmackDown general manager, Vickie Guerrero announced on the November 28, 2008 episode of SmackDown that Triple H, Hardy, and Vladimir Kozlov would compete in a "Beat the Clock" challenge to gain the opportunity to face Edge at Armageddon for the title. In a Beat the Clock challenge, wrestlers compete in separate individual matches and whoever wins their match in the fastest time wins the competition. The first contest saw Hardy defeat The Brian Kendrick in 12:13. Kozlov fought in the second encounter against Matt Hardy, but failed to defeat him in under 12:13, thus being eliminated from the challenge. The last match-up pitted Triple H against Shelton Benjamin, which ended with Triple H gaining the fall at exactly 12:13. 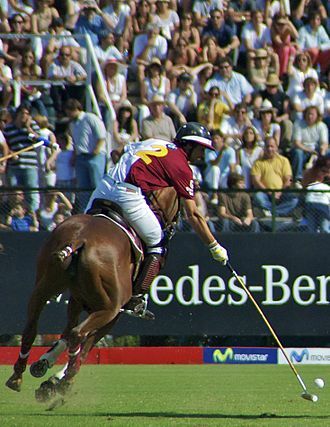 As a result of the tie, neither man was announced as the contender for the championship. One week later on the December 5, 2008 episode of SmackDown, it was announced that the WWE board of directors had decided Edge would have to defend the title against both Triple H and Hardy at Armageddon. John Cena and Chris Jericho were involved in the main rivalry on the Raw brand over the World Heavyweight Championship. At WWE's November Survivor Series, Cena returned to the WWE after a legitimate neck injury (that he sustained at SummerSlam) and defeated Jericho to win the championship. On the November 24 episode of Raw, Jericho defeated Randy Orton and Batista in a Triple Threat match to earn a title match against Cena at Armageddon. On the November 24 episode of Raw, Raw's primary authority figure Stephanie McMahon announced an eight-man single-elimination tournament to determine the number-one contender to the WWE Intercontinental Championship, which William Regal held. The first round saw four standard matches, in which Kofi Kingston, CM Punk, John Morrison, and Rey Mysterio were the victors. In the second round, Punk defeated Morrison and Mysterio defeated Kingston, resulting in Mysterio and Punk both qualifying for the finals at Armageddon. Before Armageddon began, a non-televised match took place between the team of John Morrison and The Miz and the team of Jesse and Festus, which Morrison and The Miz won. The DVD release omitted this match. The first match of the event was between ECW Champion Matt Hardy and Vladimir Kozlov. Kozlov executed a chokeslam to gain the pinfall victory. The second match was the finals of the Intercontinental Championship contender tournament between Rey Mysterio and CM Punk. In the end, Mysterio attempted the 619 but Punk countered the move into the Go To Sleep to win the tournament. Finlay was pitted against Mark Henry, who was accompanied by Tony Atlas, in a match with no disqualifications billed as a Belfast Brawl. In the climax, Finlay retrieved the steel steps but Henry countered and retrieved them himself. Finlay retrieved a shillelagh and hit Henry with it to win the match. Batista versus Randy Orton was next, with Orton being accompanied to the ring by Cody Rhodes and Manu. The end came when Batista executed the Batista Bomb to win the match. The fifth match was an Eight Woman Santa's Little Helper Tag Team match where all eight competitors were dressed in Christmas outfits. It pitted two teams of four against each other: Michelle McCool, Maria, Kelly Kelly, and Mickie James versus Maryse, Jillian Hall, Victoria, and Natayla. The match ended quickly with McCool getting a pinfall victory over Hall after the Faithbreaker. In the sixth match, John Cena defended the World Heavyweight Championship against Chris Jericho. Cena attempted an FU on Jericho but Jericho countered the move into a Codebreaker for a near-fall. Cena executed an FU on Jericho for a near-fall. Jericho applied the Walls of Jericho on Cena but Cena escaped the hold. Cena forced Jericho to submit to the STFU to retain the title. 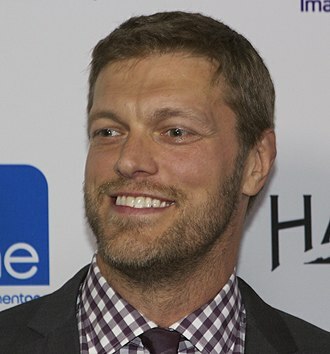 In the main event, Edge defended the WWE Championship against Triple H and Jeff Hardy in a triple threat match. Hardy performed a Swanton Bomb on Triple H but Edge pulled Hardy out of the ring, voiding the pinfall. Edge attempted a spear on Triple H, but Triple H avoided the move and Edge executed a spear through a broadcast table on Hardy. Triple H executed a Pedigree on Edge, but Vladimir Kozlov interfered and pulled Triple H out of the ring, voiding the pinfall. Kozlov attacked Triple H, but Matt Hardy stopped Kozlov. In the end, Triple H performed a Pedigree on Edge, but Hardy executed a Swanton Bomb on Edge, causing Triple H to roll out of the ring, and pinned Edge to win the title. After Armageddon on the January 2, 2009 episode of SmackDown, Vickie Guerrero announced that Jeff Hardy would defend the WWE Championship against Edge at the WWE's Royal Rumble pay-per-view. At the Royal Rumble, Edge defeated Hardy to regain the WWE Championship with the unexpected help from Matt Hardy. The rivalry between Batista and Orton continued until the December 15, 2008, episode of Raw, when Orton punted Batista in the head, giving him a storyline concussion, causing him to take time off indefinitely. WWE.com later reported that Batista elected to undergo surgery to repair a legitimate hamstring tear (that he suffered during his match with John Cena at SummerSlam). CM Punk received his match for the Intercontinental title on the January 5, 2009 episode of Raw against William Regal, but failed to win due to Regal getting himself disqualified. Two weeks later, Punk and Regal had another match this time under no disqualifications rules, which Punk won to claim the title. The rivalry between Michelle McCool and Maryse continued on the following edition of SmackDown when Maryse defeated Maria to earn another shot at Michelle's Divas Championship. On the December 26 edition of SmackDown, Maryse defeated Michelle to win her first Divas Championship in a match that Maria officiated. After the match ended, Michelle turned heel and attacked Maria; blaming her for the loss. The HSBC Arena has a maximum capacity of 19,200, however Armageddon only had an attendance of 12,500. It received 193,000 buys, which was less than the 237,000 buys the previous year's event received. Armageddon helped World Wrestling Entertainment earn $15.9 million in revenue from pay-per-view events, but this was less than the $19.9 million earned the previous year; Linda McMahon, the CEO of WWE, confirmed this statement on February 24, 2009 in a quarterly financial report. Canadian Online Explorer's professional wrestling section rated the event a perfect ten out of ten. Wade Keller of the PWTorch rated the main event match for the WWE Championship 4 and a quarter stars out of 5. He went on to state that the match was a "really satisfying main event and it's the finish WWE dared not do for a long time." He rated the match for the World Heavyweight Championship 3 and a quarter stars out of 5 and proclaimed he thought it was a "good match". Sony Music Entertainment released the event on DVD on January 13, 2009, and it reached second place on Billboard's DVD Sales Chart for recreation. The brackets for the tournament to determine the #1 contender for the Intercontinental Championship. ^ a b c d "Armageddon". Pro Wrestling History. Archived from the original on January 16, 2009. Retrieved December 24, 2008. ^ "Live & Televised Entertainment of World Wrestling Entertainment". World Wrestling Entertainment. Archived from the original on January 19, 2009. Retrieved January 11, 2009. ^ "WWE Launches ECW As Third Brand". World Wrestling Entertainment. Archived from the original on December 23, 2008. Retrieved January 11, 2009. ^ a b c d Keller, Wade (November 29, 2008). "Keller's WWE Smackdown report 11/28: Beat the Clock Challenge with Triple H, Jeff Hardy, Kozlov, plus Bella Twins, Festus Fun". Pro Wrestling Torch. Retrieved June 27, 2009. ^ Keller, Wade (December 5, 2008). "Keller's WWE Smackdown report 12/5: Big Show vs. Undertaker in a cage, Triple H & Jeff Hardy forced to team together". Pro Wrestling Torch. Retrieved June 27, 2009. ^ "John Cena def. World Heavyweight Champion Chris Jericho". World Wrestling Entertainment. November 23, 2008. Retrieved February 16, 2012. ^ a b Sitterson, Aubrey (November 3, 2008). "Many happy returns". World Wrestling Entertainment. Archived from the original on December 5, 2008. Retrieved November 4, 2008. ^ a b c "Intercontinental Tournament Brackets". World Wrestling Entertainment. Archived from the original on December 17, 2008. Retrieved December 18, 2008. ^ Burdick, Michael (December 14, 2008). "Results:Extreme mauling". World Wrestling Entertainment. Archived from the original on December 16, 2008. Retrieved December 14, 2008. ^ Vermillion, James (December 14, 2008). "Results:One step closer". World Wrestling Entertainment. Archived from the original on December 16, 2008. Retrieved December 14, 2008. ^ Passero, Mitch (December 14, 2008). "Results:Belfast brawled". World Wrestling Entertainment. Archived from the original on December 16, 2008. Retrieved December 14, 2008. ^ Tello, Craig (December 14, 2008). "Results:A "Legacy" scorned". World Wrestling Entertainment. Archived from the original on December 16, 2008. Retrieved December 14, 2008. ^ a b c d Keller, Wade (December 14, 2008). "Keller's WWE Armageddon PPV report 12/14: Ongoing "virtual time" coverage of live event – John Cena vs. Chris Jericho". Pro Wrestling Torch. Archived from the original on June 4, 2009. Retrieved June 27, 2009. ^ DiFino, Lennie (December 14, 2008). "Results:Swanton to the top". World Wrestling Entertainment. Archived from the original on December 16, 2008. Retrieved December 16, 2008. ^ van der Griend, Blaine (January 3, 2009). "Smackdown: Setting up the Rumble". Slam! Sports. Canadian Online Explorer. Retrieved January 27, 2013. ^ DiFino, Lenny (January 25, 2009). "Results:Royal Rumble: Hardy's twisted fate brings gold to Edge". World Wrestling Entertainment. Archived from the original on January 31, 2009. Retrieved January 25, 2009. ^ Keller, Wade (December 16, 2008). "Keller's WWE Raw report 12/15: Batista & Cena vs. Cody & Manu & Orton, Kelly Kelly & Melina vs. Glamazon & Jillian". Pro Wrestling Torch. Archived from the original on June 28, 2009. Retrieved June 27, 2009. ^ "Batista undergoes hamstring surgery". World Wrestling Entertainment. December 27, 2008. Archived from the original on December 31, 2008. Retrieved December 27, 2008. ^ Keller, Wade (January 5, 2009). "Keller's WWE Raw report 1/5: Ongoing "virtual time" coverage of live event from New Orleans, La". Pro Wrestling Torch. Retrieved June 27, 2009. ^ Keller, Wade (January 19, 2009). "Keller's WWE Raw report 1/19: Ongoing "virtual time" coverage of He's Baaaaack!". Pro Wrestling Torch. Archived from the original on June 28, 2009. Retrieved June 27, 2009. ^ "Quick Facts". HSBC Arena. Archived from the original on February 24, 2008. Retrieved August 25, 2008. ^ "WWE Reports 2008 Fourth Quarter and Full Year Results" (PDF). World Wrestling Entertainment Corporate. Archived (PDF) from the original on February 27, 2009. Retrieved February 24, 2009. ^ Kapur, Bob. "Hardy finally breaks through". Slam! Sports. Canadian Online Explorer. Retrieved August 1, 2008. ^ "WWE: Armageddon". For Your Entertainment. Archived from the original on January 26, 2009. Retrieved August 1, 2008. Oleg Aleksandrovich Prudius better known by his ring name Vladimir Kozlov, is a Ukrainian-American retired professional wrestler. He is best known for his time in WWE, where he won the WWE Tag Team Championship once with Santino Marella and he is trained in freestyle wrestling, football, kickboxing, jujutsu, Brazilian jiu-jitsu and mixed martial arts. Prudius has worked as a stage and screen actor, notably having a role in Spike Lees 25th Hour. Prudius had a role in Grindhouse, appearing in the Werewolf Women of the SS trailer, he was credited under his real name and he is a former Ohio Valley Wrestling Heavyweight Champion. Prudius has won numerous achievements, becoming the 2005 USA Open Heavyweight Sambo Champion and he has played American football for the Ukrainian National Team as well as Santa Barbara City College. On January 17,2006, World Wrestling Entertainment announced that Prudius had signed a deal and was sent to Deep South Wrestling. 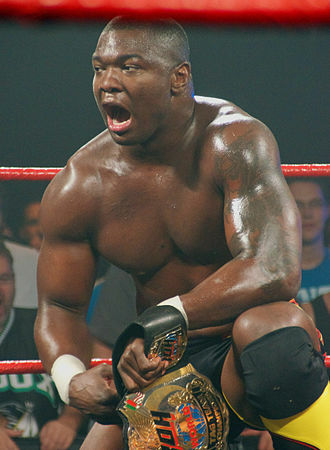 On April 7,2006, he debuted under his name and had his first match in DSW against Bobby Walker. On May 5,2006, Prudius had his first untelevised WWE match during a show in San Jose, California. The next night, at house show in Sacramento, Matt Striker cut a promo on Prudius, calling him a filthy immigrant. Prudius picked up the microphone and said he that he is proud to be in America, on the December 18,2006 episode of Raw, Prudius made an appearance as a WWE prospect named Vladimir Kozlov, which became his ring name. 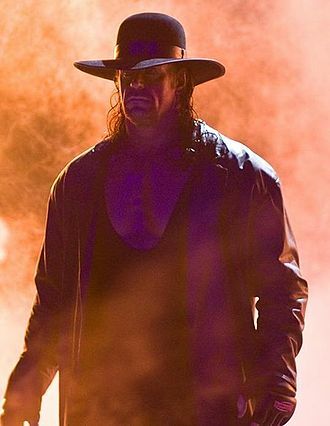 He was taken off television for over a year working in the developmental system and participating in a number of dark matches, including a victory at Armageddon 2006. On the July 11 episode of SmackDown, Kozlov debuted an entrance theme, in the following weeks, as Kozlov continued to easily win matches, he began demanding better competition. On the September 12 episode of SmackDown, he started to seek that competition, over the following weeks, Kozlov would continue attacking both Hardy and the WWE Champion Triple H, eventually starting a loose feud between the three of them over the WWE Championship. Professional wrestling is a dramatized athletic performance that portrays a combat sport. 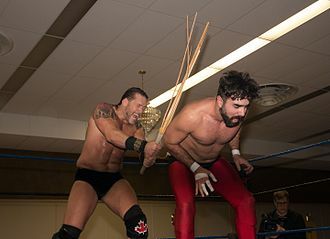 Various forms of weaponry are sometimes used, the content – including match outcomes – is scripted and choreographed, and the combative actions and reactions are performed to appear violent without injuring the wrestlers. Before the 1980s, these facts were considered trade secrets, in the mid-90s, the presentation of scripted events as legitimate is known as kayfabe. Although the combative content is staged and communicated between the wrestlers, there are physical hazards involved - including permanent injury and death. While it has declined in Europe, in North America it has experienced several different periods of prominent cultural popularity during its century. The advent of television gave professional wrestling a new outlet, unlike in Europe, show wrestling has become especially prominent in Japan and in North America. In Brazil, there was a popular wrestling television program from the 1960s to the early 1980s called Telecatch. High-profile figures in the sport have become celebrities or cultural icons in their native or adopted home countries, although professional wrestling started out as petty acts in sideshows, traveling circuses and carnivals, today it is a billion-dollar industry. Revenue is drawn from live event ticket sales, network television broadcasts, pay-per-view broadcasts, personal appearances by performers, branded merchandise, pro wrestling was instrumental in making pay-per-view a viable method of content delivery. Annual shows such as WrestleMania, SummerSlam, Royal Rumble, and formerly Bash at the Beach, Halloween Havoc, home video sales dominate the Billboard charts Recreational Sports DVD sales, with wrestling holding anywhere from 3 to 9 of the top 10 spots every week. Due to its persistent cultural presence and to its novelty within the performing arts, there have been many fictional depictions of wrestling, the 2008 film The Wrestler received several Oscar nominations and began a career revival for star Mickey Rourke. Because actual events are often co-opted by writers for incorporation into storylines for the performers, special care must be taken when talking about people who perform under their own name. The actions of the character should be considered fictional events, wholly separate from the life of the performer and this is similar to other entertainers who perform with a persona that shares their own name. Some wrestlers will incorporate elements of their real-life personalities into their characters, even if they and those who participated felt that it was necessary that spectators should be kept in a constant and complete illusion of a real competition to keep audience interest. For decades, up until the mid-1980s, wrestlers lived their lives as though they were their characters. Wrestlers and promoters all rigorously enforced the illusion and very few were allowed into the society of professional wrestling to maintain suspension of disbelief. The practice of keeping the illusion, and the methods used to do so, came to be known as kayfabe within wrestling circles. Survivor Series was a professional wrestling pay-per-view event produced by World Wrestling Entertainment and presented by THQs WWE SmackDown vs. It took place on November 23,2008, at the TD Banknorth Garden in Boston, the event, the 22nd Survivor Series, involved wrestlers from WWEs all three brands, SmackDown, and ECW. The events card consisted of six professional wrestling matches, the event received 319,000 pay-per-view buys, less than the previous years event. Another match on the event was the SmackDown main event, which saw Edge return and defeat Vladimir Kozlov, the undercard matches included The Undertaker versus The Big Show in a Casket Match and three five-on-five elimination tag team matches. 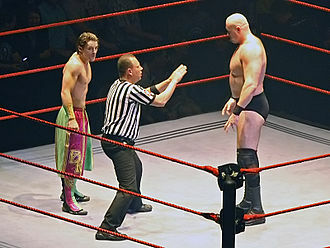 The event featured professional wrestling matches involved different wrestlers from pre-existing scripted feuds, plots. Wrestlers portrayed a villain or a fan favorite character as they followed a series of events that built tension, all wrestlers came from the ECW, and SmackDown brands — a storyline division in which WWE assigns its employees to different programs. Advertising on WWE programming and on the Survivor Series promotional poster had foreshadowed the return of John Cena, on the November 3,2008 episode of Raw, Shane McMahon announced that Cena would challenge for the World Heavyweight Championship at Survivor Series. Cena would face the champion resulting from a Steel cage match between World Heavyweight Champion Batista and Chris Jericho, which Jericho won and this event marks the first time that Jericho and Cena would wrestle for a major championship since August 2005. During that summer, Cena defeated Jericho on two different occasions for the WWE Championship. First at the SummerSlam event and on the nights episode of Raw in a Youre Fired match. At No Mercy in October, Jeff Hardy came close to winning the WWE Championship from Triple H but failed to do so when Triple H rolled him up. Vladimir Kozlov was one of the choices for Triple Hs challengers at Cyber Sunday for the fans to vote, but Hardy won the poll and faced Triple H for the title, Kozlov won the match, albeit via disqualification after Hardy interfered and hit Kozlov with a steel chair. Punk began his professional wrestling career on the American independent circuit, primarily with Ring of Honor until 2005, when he signed with World Wrestling Entertainment. Throughout his career, he won championships, including the WWE Championship twice. In WWE, Punk was a one-time World Tag Team Champion, throughout his career, Punk consistently portrayed the character of an outspoken, sharp-tongued, anti-establishment, straight edge iconoclast. Most of the straight edge principles he portrayed, such as not drinking alcohol or not taking drugs, are his real life views. Depending on his alignment as a hero or villain, he emphasized different aspects of the straight edge culture to garner the desired audience reaction. After retiring from wrestling in 2014, Punk pursued a career in mixed martial arts and was signed by the UFC in December of that year. His first professional fight took place on September 10,2016, at UFC203 against Mickey Gall, Brooks was born in Chicago and raised in nearby Lockport, Illinois. He is one of five children, his father was an engineer, Brooks father struggled with alcoholism which inspired him to become straight edge from an early age. He attended Lockport Township High School, Brooks first venture into wrestling was a stint in a backyard wrestling federation called the Lunatic Wrestling Federation with his friends and brother Mike Brooks in the mid-late 1990s. He first started using the ring name CM Punk when he was put into a tag team named The Chick Magnets with CM Venom after another performer skipped out on the card. Unlike his friends, Punk genuinely wanted to be a wrestler, as part of the training, he wrestled at Steel Domain Wrestling in St. Paul, Minnesota. It was in the Steel Domain that he met Scott Colton and Cabana became best friends and spent most of their early career together working in the same independent promotions, as both opponents and tag team partners. In the independents, along with fellow Steel Domain graduates Colt Cabana, Chucke E. Smooth, Adam Pearce, Punks home promotion for his early career was considered to be the Independent Wrestling Association Mid-South. J. The World Heavyweight Championship was a professional wrestling world heavyweight championship owned by WWE. The World Heavyweight Championship was retired at the WWE pay-per-view, TLC, Ladders & Chairs, the unified championship became the WWE World Heavyweight Championship, retaining the lineage of the WWE Championship. 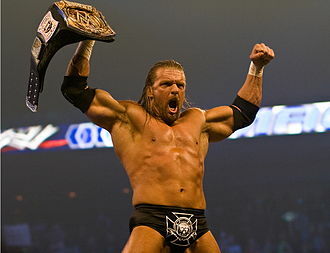 Triple H was the inaugural World Heavyweight Champion, with Randy Orton being the last, the title was one of six to be represented by the historic Big Gold Belt, first introduced in 1986. Its heritage can be traced back to the first world championship, thereby giving the belt a legacy over 100 years old. WWE introduced its World Heavyweight Championship in 2002 by Eric Bischoff with Triple H becoming the champion on September 2. During this time, WCW used the NWA World Heavyweight Championship as its world title, the WCW World Heavyweight Championship was soon established when the recognition was awarded to then-NWA World Heavyweight Champion Ric Flair in 1991. In 1993, WCW seceded from the NWA and grew to become a rival promotion to the World Wrestling Federation, both organizations grew into mainstream prominence and were eventually involved in a television ratings war dubbed the Monday Night Wars. Near the end of the war, WCW began a financial decline which culminated in March 2001 with the WWFs purchase of selected assets of WCW. As a result of the purchase, the WWF acquired the library of WCW, select talent contracts. The slew of former WCW talent joining the WWF roster began The Invasion which effectively phased out the WCW name, following this, the WCW World Heavyweight Championship was unified with the WWF Championship, the WWFs world title, at Vengeance in December. 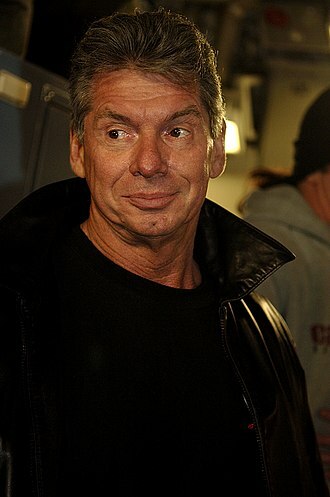 By 2002, the WWE roster had doubled in size due to the overabundance of contracted workers, as a result of the increase, the WWE divided the roster through its two main television programs and SmackDown, assigning championships and appointing figureheads to each brand. 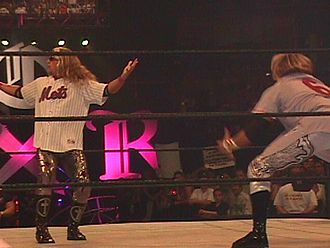 This expansion became known as the Brand Extension, in May 2002, the WWF was renamed to World Wrestling Entertainment. Following these changes, the Undisputed WWE Championship remained unaffiliated with either brand as competitors from both brands could challenge the Undisputed Champion, on September 2, after disputing the brand designation of the Undisputed title, Eric Bischoff announced the creation of the World Heavyweight Championship. Attacking maneuvers are offensive moves in professional wrestling, used to set up an opponent for a submission hold or for a throw. There are a variety of attacking moves in pro wrestling. Professional wrestlers frequently give their finishers new names, these names become popular and are used regardless of the wrestler performing the technique. Professional wrestling contains a variety of punches and kicks found in martial arts and other fighting sports, many of the moves below can be performed from a raised platform, these are called aerial variations. Moves are listed under general categories whenever possible, known as a splash, a body press involves a wrestler falling against the opponent with the core of their body. It is executed from a running or jumping position, using momentum and weight to impact the opponent and this attack is a plancha in lucha libre. The big splash involves a wrestler jumping forward and landing stomach-first across an opponent lying on the ground below, on some occasions a wrestler has a short running start before executing the move. The wrestler charges into an opponent in the corner of the ring without leaving their feet and this is normally used by bigger, heavier wrestlers. There is a variation, known as a diving crossbody. A move named after Sting, who popularized it, the Stinger splash involves the wrestler trapping his opponent in a corner. This move is described as a crossbody as a counter of a tilt-a-whirl backbreaker/tilt-a-whirl mat slam. The bronco buster is normally treated as having comic or sexual connotations rather than as a painful move. Similar to a bronco buster, the wrestler jumps onto a standing opponent in the corner and sitting on the opponents chest. The attacking wrestler follows with mounted punches, the act of a wrestler to slap the chest of his opponent with the palm of the hand using a backhand swing. Many wrestlers use this chop, often referring to it as a knife edge chop, because it was popularized by Ric Flair the crowd always responds with a woo noise. Sometimes referred to as a frying pan chop or an open-hand chop, the act of slapping the chest of the opponent using the forehand. A downward diagonal backhand chop to the side of the opponents neck, the act of karate chopping both the opponents shoulders and sides of the neck with the hands edges in a swinging motion at the same time. 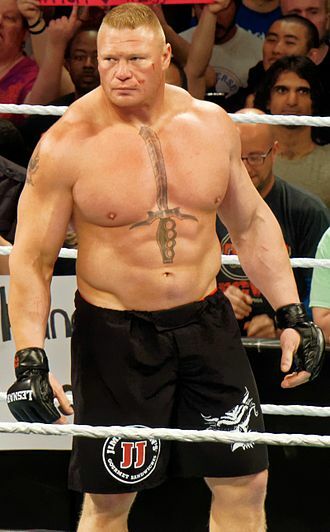 John Felix Anthony Cena Jr. is an American professional wrestler, rapper and reality television show host. He is signed to WWE, where he performs on the SmackDown brand, Cena started his professional wrestling career in 1999 with Ultimate Pro Wrestling and won the UPW Heavyweight Championship the following year. Cena signed a contract with the World Wrestling Federation in 2001. From a generic character in 2002, Cena morphed into a rapper for the period of 2002–2004. Cena transitioned to his current character, which he describes as a goody-two shoes Superman, in 2012, IGN described Cena as WWEs franchise player since 2005 and WWE credited Cena as being the face of WWE in 2015 since 2004. Industry veterans John Layfield, Paul Heyman and Kurt Angle have called Cena the greatest WWE star of all time. Throughout his WWE career, Cena has won 25 championships, with 16 reigns as a world champion and he is a five-time United States Champion, and four-time world tag team champion. Furthermore, he is a Money in the Bank ladder match winner, a two-time Royal Rumble winner, Cena has the fourth-highest number of combined days as WWE Champion, behind Bruno Sammartino, Bob Backlund, and Hulk Hogan. He has headlined WWEs flagship event, WrestleMania, on five different occasions over the course of his career, as of 2016, John Cena is WWEs highest-paid wrestler. Cena has made appearances on shows including Manhunt, Deal or No Deal, MADtv, Saturday Night Live, Psych. He was a contestant on Fast Cars and Superstars, The Gillette Young Guns Celebrity Race, Cena is the host of American Grit on Fox. Cena is involved in philanthropic causes, most notably with the Make-A-Wish Foundation. He has granted the most wishes in Make-A-Wish history, Cena was born on April 23,1977 in West Newbury, Massachusetts, to Carol and John Cena, Sr. He is the second oldest of five brothers, Matt and his maternal grandfather was baseball player Tony Lupien. His father is of Italian descent, while his mother has English, Cena originally attended Central Catholic High School in Lawrence, before transferring to Cushing Academy, a private prep boarding school. After graduating from Cushing Academy, Cena attended Springfield College in Springfield, in college, Cena was a NCAA Division III All-American center on the college football team, wearing the number 54, which is still used on some of his WWE merchandise. Youngest, four time, and final champion Randy Orton, pictured here holding the Big Gold Belt (formerly representing the World Heavyweight Championship), and the 2013–2014 belt design of the WWE Championship; both belts together represented the renamed WWE World Heavyweight Championship until a single belt was introduced in August 2014. Triple H, who lost the title to Edge.